Are you looking for the ideal outdoor location for your wedding? 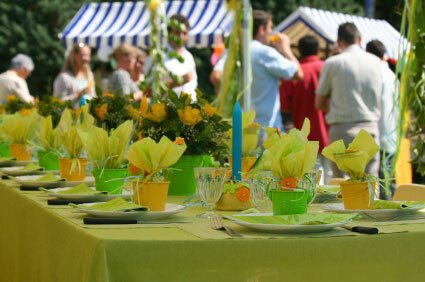 Though many couples head to the beach, in Canada a great variety of other outdoor locations can be used for a wedding. Almost every major city has a botanical garden. These gardens are the perfect setting for your wedding reception and ceremony. With the beautiful backdrop of fresh flowers and plants, botanical gardens make an exquisite choice for your wedding. Botanical gardens are terrific options for a mid-morning or early afternoon wedding. The botanical society or garden management will normally be able to arrange all your wedding details or supply you with a list of recommended vendors that they have worked with in the past. 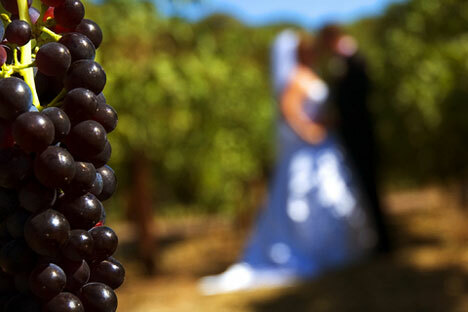 Another terrific destination for an outdoor wedding is a vineyard. The beauty of the rolling hills of a vineyard makes for a wonderful wedding locale. When Christina Aguilera got married at the Staglin Family Vineyard in Northern California in 2005, many celebrities followed suit. Many major vineyards now offer wedding packages that include the venue rental as well as the minister, flowers, food and other details. If you are planning your wedding on a budget, look for a smaller vineyard, which will be just as beautiful without the expense. And you know if your wedding is at a vineyard, you will have terrific wine choices at your reception. To find a vineyard near you, visit WinesofCanada.com for a comprehensive list of wineries and vineyards throughout Canada. Many other outdoor spots are good choices for a wedding. Wherever you plan your wedding, make it unique. Incorporate some of the latest trends and add some personal touches that exemplify your personality. Keep the food light for a daytime wedding. Sandwiches, fruit salad and light pasta are heavy enough for an afternoon meal. Offer fruity drinks, sweet tea and light alcoholic beverages. Wear a more casual bridal gown. A ball gown is great for a church wedding but completely out of place for an outdoor ceremony. Choose a simple design in sheath silhouette. Consider wearing a tea-length dress rather than floor-length. Don't wear stilettos! Your heels will sink into the ground and you might trip. Instead wear a chunky high heels, jeweled thong sandals or shiny ballet flats. Have a backup location in mind. The weather can make a quick turn for the worse. Be prepared that you might have to move your wedding indoors. At the very least, have a large tented area available.